This perl script is a notification tool of new question on Stack Exchange website. This is a Perl script, any platform running perl can run it. Mac OS X and Windows users can take advantage of Growl notification. Add verbose mode, need to be enable to see number of question found. Improve terminal output to refresh (v:X|a:X) values of older question (and may be removed answered one from screen) using curse or something like this. 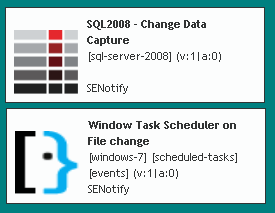 Unable to retrieve data (404 Not Found) at SENotify.pl line 151. Not the answer you're looking for? Browse other questions tagged app notifier growl .